Cyanco believes in providing the most value to our customers by helping improve their process efficiency and lowering operating costs. Our Applied Technology laboratory services group, in partnership with McClelland Laboratories is able to assist mines with their ore processing needs and is conveniently located in Sparks, Nevada. Our laboratory facility has been involved with ore processing test work for over 30 years and implementing world-class processes at mine sites globally. Our Applied Technology group assists each customer in handling sodium cyanide throughout the lixiviation process. Our Goal: Maximized recoveries at lowest operating costs, even if that means consuming less cyanide. 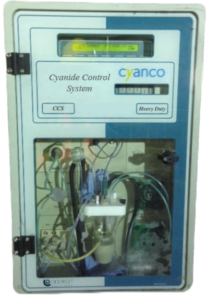 Cyanco’s CCS® Cyanide Control Systems accurately control leaching processes by analyzing free cyanide without interference from other cyanide complexes. The CCS® unit enables continuous adjusting and monitoring of the cyanide level during leaching, preventing fluctuations of the cyanide concentration. This prevents the overdosing of cyanide and also prevents gold/silver losses caused by low cyanide concentrations in the leach. Savings from avoiding “wasted cyanide” via tighter real-time cyanide control, not to mention the potential detoxification costs savings, lower overall operation costs for the mine. 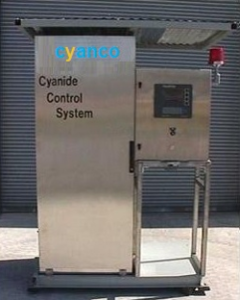 Along with the implementation of Cyanco’s cyanide control system, Cyanco can further assist the customer by conducting laboratory test work on the customer’s ore to determine the correct dosing of cyanide.